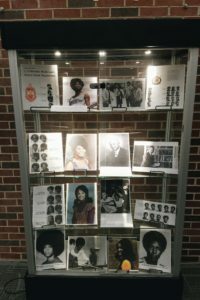 Visit the displays on the first floor of the library to learn about people who have made history at Henderson. Did you know that the XI BETA chapter of Omega Psi Phi was not only the first black fraternity on Henderson’s campus, but also the first in Arkansas to be founded at a majority-white school? You may know about Maurice Horton, the first black student to graduate from Henderson, but do you know who the first black faculty and staff members were? What about the first black homecoming queen? Come by and find out! These display will be up through the month of February.